FBI Criminal background checks are becoming required documentation when applying for housing or employment. National Credit Reporting is one of the few screening companies selected by the Federal Bureau of Investigation (FBI) as an authorized FBI channeling agency to collect and submit fingerprints to the FBI's Criminal Justice Information Systems (CJIS) division. As an FBI Fingerprint Channeler, NCR offers you with an option to obtain fingerprint based FBI reports in just 48 hours. We accept ink rolled fingerprint cards or electronic live scan fingerprint submissions. The FBI maintains the only comprehensive collection of criminal history for all 50 states, providing criminal information from 3200 court jurisdictions and over 1000 law enforcement agencies with one single request. An FBI criminal background will include information reported by Federal, State and local law enforcement agencies. This will include information regarding arrest records, felonies, misdemeanor, convictions, acquittals and sentencing. An FBI Criminal Report is based upon fingerprint matching; the reports are more accurate than a name and birthdate match, where individuals might use false identification. 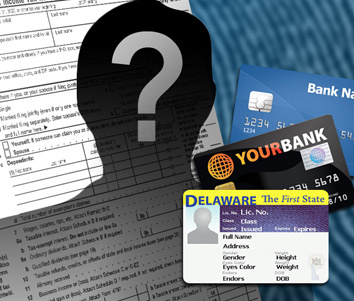 If you have been screening your applicants with unreliable database information or geographically limited county record information, or you are just curious about how FBI Fingerprint Criminal Records may benefit your screening efforts, please contact us and allow National Credit Reporting to help you explore this option. Individuals looking to obtain a copy of their FBI report in accordance with U.S. Departmental Order 556-73 for personal review, correction, challenge, adoption, work/student visa or other court related matters, please visit www.myFBIreport.com.